So then I decided we were going to celebrate both Passover and Easter – Joel’s background is Jewish and mine is Lutheran, so I figured we were allowed. We (ok, really it’s me, but Joel goes along with it so well) are extremely attracted by events, holidays, and meals steeped in symbolism, and both Passover and Easter are ideal for this. In addition to planning big meals for each holiday, I also decided it would be best if we made all of our own matzoh and Easter candy homemade. No problem, right? Ha. I feel like my every spare moment has been in the kitchen, which I don’t really mind. But, then my advisor finally sent me comments back on one of my dissertation drafts, so I was supposed to be editing that too. Oops. But, so far, it’s all been totally worth it. And as long as the lamb cake I’m currently baking comes out of the mold without its face falling apart, then I feel like we’re ready to rock and roll. It feels amazing to have my energy coming back because I’ve been pretty exhausted for the last couple months…Which brings me to our very big news. It, as you may have already guessed, has everything to do with an entirely different sort of, shall we say, baking project, with buns in ovens, and all. And I don’t mean the hot cross kind. That is to say, come late September we’re expecting a new family member to join our little family!(!!!!!!!!!!!!!!!!!!) We couldn’t be more thrilled. Or terrified, of course. For the first couple of months it felt like such an intangible idea. We could say to each other, wow, we’re going to have a baby! But, that held almost no meaning. It was like talking about something happening on a television show or in the novel you are reading. Mostly, I found myself barely able to function because I was so indescribably exhausted, and I was disgusted by many of my favorite foods (some of you saw right through me the moment I mentioned, very early on, that I was off chocolate and wanted lemons. Sleuths you people are!). I had to clear anything that reminded me of brussels sprouts, cauliflower, sweet potatoes, or mushrooms out of the house. All I wanted to eat were eggs and lemons. Then, at 9 weeks we had an appointment where we got to hear the heartbeat, as speedy as a little hamster’s, but so strong. All of a sudden, it started to truly dawn on me that there was a new life inside of me. Then just a little over a week ago we had our first ultrasound, and oh my gosh you guys, I can’t even…I mean, all of you who have had children probably know. It was entirely, unbearably, wonderful and awe inspiring to see a teeny tiny little human with a button nose and little arms and legs that it could move around. It would kick and wave, and then curl up to take a little nap. It was a tiny little person, already. Obviously I completely fell apart. There is nothing that prepares you emotionally for that level of awesomeness. And it makes for a rather awkward transition to sharing an egg and avocado smørrebød with you. 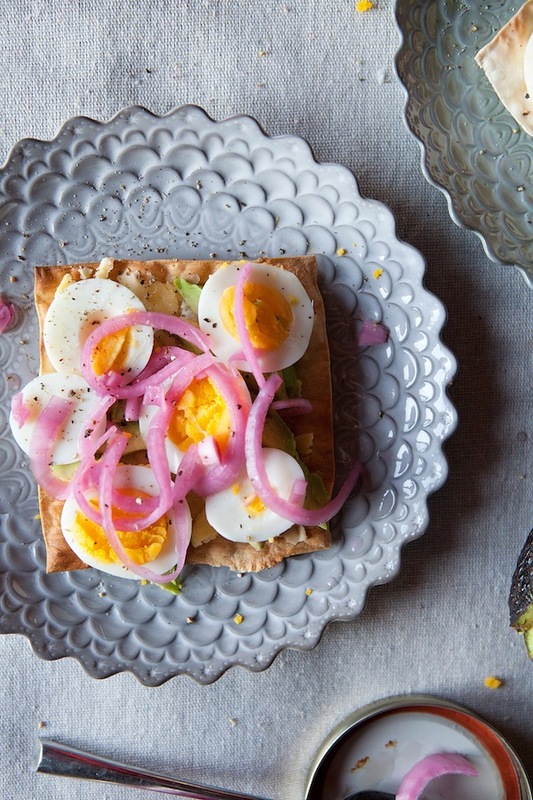 But seriously, even if you haven’t been craving eggs like a nutty pregnant lady, and even if you aren’t going to have a bunch of eggs leftover from this holiday weekend, I would say you should go make some hardboiled eggs for the express purpose of being able to eat this very open faced sandwich. I made it because we had a leftover hardboiled egg, leftover pickled onions, and a whole grocery bag’s worth of homemade matzoh, and it was so wonderful I’ve made it almost every day since. Throwing together some pickled red onions is the work of a moment, and you really should have some in your refrigerator at all times anyway since there is almost nothing they don’t perk up. Then, all you need to do is layer. First some excellent grass-fed salted butter (or good mayo if you prefer), thin slices of avocado, slices of egg, and a few forkfuls of the onion. Sprinkle generously with salt and pepper and you’re set. If you don’t have matzoh around, toast or rye crisps will work just as well. Happy spring and new beginnings and new life, friends! Put the eggs in a saucepan large enough to hold them all and add enough water to cover them by an inch. Cover and bring to a boil on the stove. As soon as the water has boiled, remove from the heat and let the pot sit with the eggs in it for 30 minutes. While the eggs sit, prepare a bowl of ice water. After 30 minutes, use a slotted spoon to transfer the eggs to the ice bath until they are completely cool. Remove them, roll them on a counter to break up the shells and peel. (Everyone has their own preferred egg peeling technique, and I’m no expert, but I do know week-old eggs are easier to peel, and sometimes it just takes elbow grease). Spread each of the pieces of matzoh or toast with a generous layer of butter. Peel, pit, and slice the avocado into thin pieces. 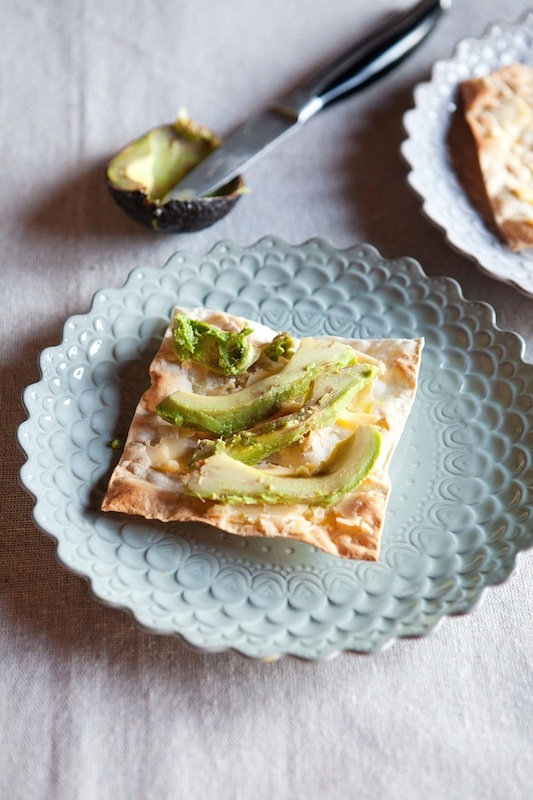 Layer a quarter of the avocado onto each piece of bread. Slice the eggs, and layer one sliced egg onto each sandwich. Sprinkle well with salt and pepper. 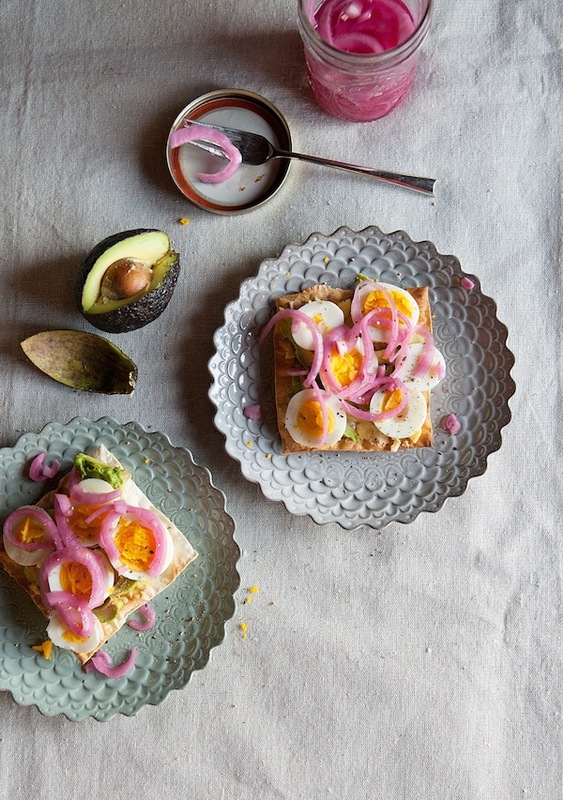 Top each sandwich with a good forkful of pickled onions, and serve! Stir together the vinegar, water, salt, and sugar in a bowl until the salt and sugar dissolve. This is by far easiest if the water and vinegar have been heated first. Add the onions, and toss them to coat them with the vinegar mixture. Let them stand at least 30 minutes, tossing them again, now and then, before using. Once cool, you can store them in a covered container or jar in the refrigerator for several weeks. What a delightful recipe. And congratulations! Awww, such sweet news. Congratulations to you both! Congratulations, I am so happy for you! It’s so funny how pregnancy varies from individual to individual, when I was pregnant I couldn’t even look at an egg let alone smell one which was terrible since I love them, Your recipe is wonderful, I just love the pickled onions, again I am thrilled you. Thank you!!! It is indeed so funny how different pregnancies are. You just have to let your body do its thing and hang on for the ride though, it seems! Congratulations Emily (and Joel)! I’ve known for a couple of weeks now as I heard it from your mother at one of our birthday lunches. She, your mother, was so cute! Evidently she has been told she can’t keep a secret (which I completely identify with; ‘if you want it to be a secret, don’t tell mom’). Anyway, we went all through lunch, and present opening and were about to get up to leave the table before she said ” I have some news!” I was as proud of her as she was of herself! To have sat through all of that and not said a word! Amazing!! Happy Spring! P.S. the recipe looks amazing. I shall try it! Congratulations! Hope the rest of your pregnancy goes well. Personally I loved being pregnant. Enjoy all those special little moments and keep those fabulous recipes coming. I love egg and avocado together. I’ll have to give those pickled red onions a try. Thank you! We’re keeping our fingers crossed that everything goes well as well. And I’m definitely working on just letting go and enjoying. I think that’s the best advice! Congratulations! That’s big news for sure. 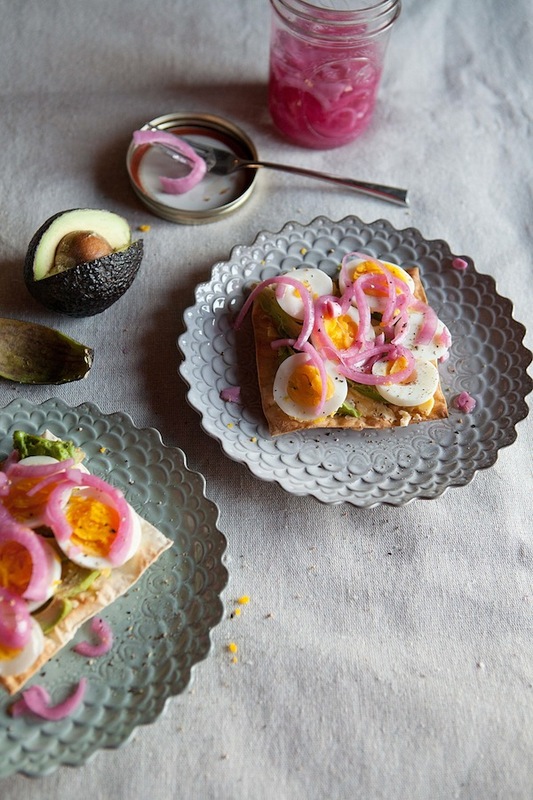 I love avocado, and the combo with the pickled red onion sounds great. Thanks! Thank you so much Angela! I’m already feeling better and better, so I have high hopes. And yes, we’re terribly excited. It’s going to be quite the adventure, I’m sure. Looks so yummy! I’ve been wanting to whip up some lightly pickled onions so I’ll definitely try your recipe. Congratulations to you and your man! How exciting! Thank you so much! And I hope you enjoy the onions! I seriously think they make almost any sandwich or salad type of dish even better. What happy news, Emily! I’m thrilled for you and Joel. When I was pregnant it was broccoli that I could not stomach, and I craved OJ and meat gravy. Funny how pregnancy affects us all so differently! I’m glad you are feeling better now. Happy Easter and Happy Passover! Thank you Hannah! That’s so funny that you craved gravy. I absolutely couldn’t stand gravy! Which meant I could barely visit my parents’ house because it always seems to smell like gravy (my mother still cooks a lot of traditional Norwegian meals, and they almost always seem to involve gravy, if they’re not fish!). Congrats emily and joel!! I saw you the other day and had a sneaking feeling that something was “cooking” Hope you enjoy every moment!! Thank you very much Sonja! Watermelon and asparagus! Those are rather lovely cravings! But I see how that could be hard in Scotland. Oh dear. 🙂 Thank you for the well wishes…and also for the idea of adding hot sauce to this sandwich the next time I make it! Congratulations! I love eggs and must give this a try. Thank you! And I hope you do give it a try! I’m still obsessed with it. CONGRATS!!! 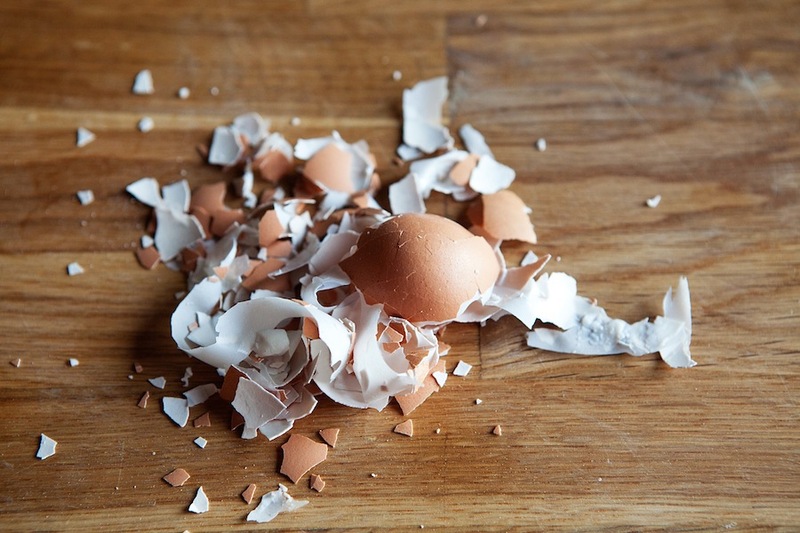 Love how poetic and symbolic this entire post is, unintentionally or otherwise 😉 eggs and eggs, you see? And miaaam, looks yummy! I’m all about symbolism. 🙂 Thank you for the kind congratulations! Congratulations! All the best to you and your family! Congratulations to you both! What wonderful news and how wonderful to be living in Duluth close to your mom and dad during this time of growing your family – also it really helps to have have those – always ready to baby sit baby sitters – close by. Enjoy! Thank you Marcy! And yes, it is very nice that we will be so close to free babysitters, er, I mean, my parents, hehe. Congratulations on the new life within! This recipe has super healthy ingredients for the both of you! Thank you! And you’re so right! I wasn’t even particularly trying, but this recipe is packed with all sorts of healthy micronutrients. Better go make one more! Aw, thank you so much! We’re glad you think so. This is good news! Mazel Tov! Hope you feel good and we will continue to enjoy all of your cravings! 3. I am in love with those plates. Where did you find them? Thank you, thank you! The plates are from Anthropologie from a couple years ago. I love them too. One of my favorite purchases. I’m not sure whether they carry them anymore, but it would be worth checking. Congratulations! Wishing you a smooth and uneventful pregnancy – hope you’re feeling good! Thank you so much Jen! And the same to you! I’M SO HAPPY FOR YOU!!! Congratulations!! You seem like a loving couple, and I’m sure will be very loving parents. I’m new to your blog and I’m reading from a smart phone so did I miss the part where you tell us where you found those amazingly lovely dishes!?! It was in a response to another comment! They’re from Anthropologie. Ah yes, Anthropologie! Can’t wait to try the egg sandwich! I wonder if it will be a hit in my mixed faith family too! I’m a big admirer of tradition without religion and food is the perfect medium for this! 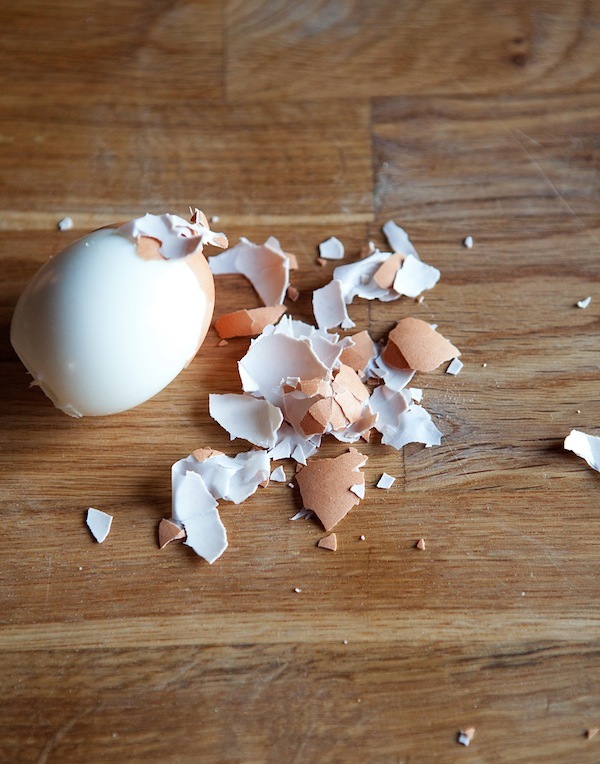 You are currently reading A sliced egg and avocado smørrebød plus some (rather big) news at Five And Spice.